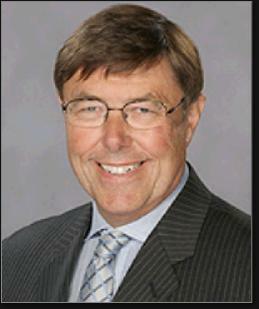 Charley Casserley was born in 1948 in River Edge. When Charley was 14, his father demanded that he attend Bergen Catholic High School—and that he also be responsible for the $300 tuition. Charley delivered newspapers each morning and worked odd jobs in the summers to come up with the money. After graduation, Charley enrolled at Springfield College in Massachusetts. Springfield’s association with sports dates back to its days as the International YMCA College—it was the birthplace of basketball—and is renowned for turning out top-notch Physical Education instructors, coaches and administrators. Charley’s taught and coached in and around Springfield while getting his Masters, and then joined the Washington Redskins as a 29-year-old unpaid intern on George Allen’s staff in 1977. He scouted for several years, famously unearthing free agent stars Jeff Bostic and Joe Jacoby, and then was promoted to Assistant GM in 1982. The ’Skins won the Super Bowl that season. In 1987, during the players strike, Charley assembled a team of replacement players that beat the Cowboys and inspired the movie The Replacements. Charley ascended to the GM post in 1989. Among his draft-day “finds” were Brian Mitchell, Stephen Davis, Frank Wychek and Champ Bailey. Charley became GM of the expansion Houston Texans in 2000. He drafted Owen Daniels, Andre Johnson, Jerome Mathis, DeMeco Ryans and Mario Williams, all of whom became All-Pro performers. On the whole, however, Charley did not enjoy the same success he had in Washington. After leaving the Texans in 2006, he focused on his television and radio broadcast work, which had started during his tenure with the Redskins. Charley also teaches sports management classes at Georgetown and George Mason.